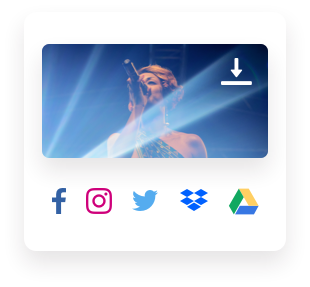 Manage your media assets on Muzooka, we'll take care of updating your assets across a large network of industry partners. 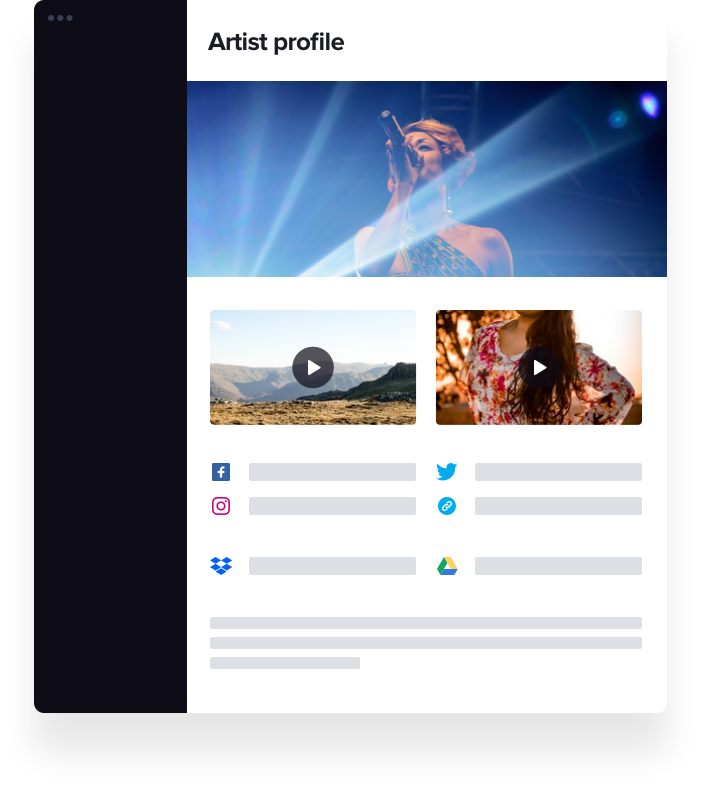 When photos, bios, videos, and social media links are updated on Muzooka, those changes are reflected with our ticketing, radio, festival, charting, and metadata partners. 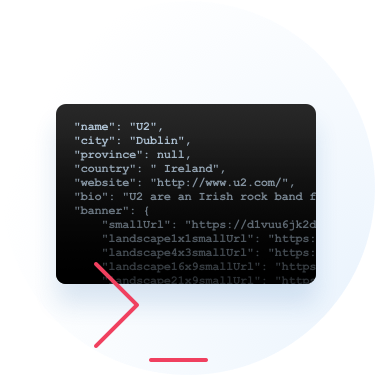 Developer friendly integrations with our API and embeddable profiles. Share this profile for the validated official image, videos, social links, file share and more. High resolution, official artist images. It can be very difficult to find legally approved, high-res artist photos for use on apps, websites, promo materials, etc. 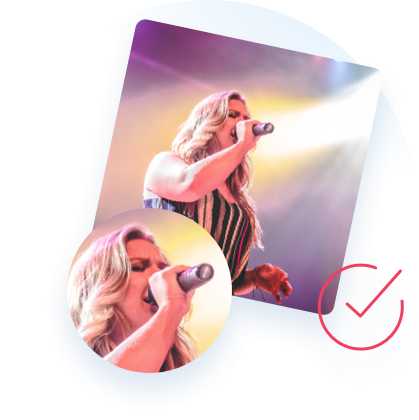 Muzooka images come directly from the source - artists and their management teams. Every photo is scanned for NSFW, unwanted text, and proper resolution, to ensure that our partners are getting the best artist images available anywhere. 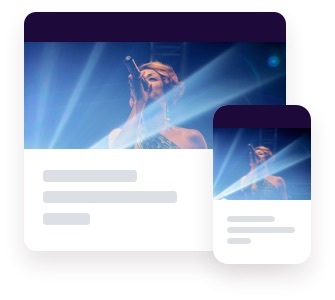 With a fast-growing database of over 900,000 musical artists and comedians, there’s a reason ticketing companies, charting platforms and festivals want to integrate with Muzooka to power their customer experiences. Data integrations that save time and money. 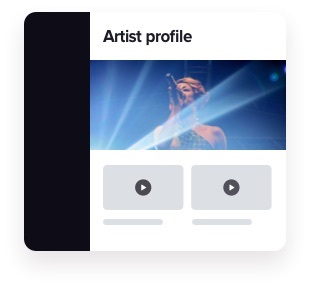 Muzooka has a robust API that allows our partners to integrate verified artist assets into websites, apps, and data services like charting software. The responsibility for assets and branding are back where they belong, with the artists and their management teams. 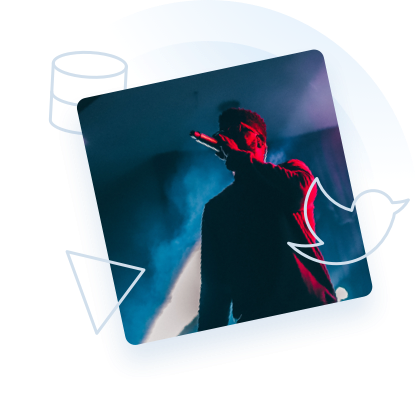 "Muzooka has saved us hundreds of man hours to prepare our artist data."